Hi I'm just curious what year was the photo of Philip taken and what breathing apparatus, was he wearing? I don't think its the Proto model. What's thrown me is the position of the breathing tubes i.e. going over the shoulders. I did my training at Wakefield Rescue Station in 1979 on Proto and Aerorlox. When Wakefield closed we all transferred to a state of the art rescue station at Osgoodby, at Selby rescue station we got trained up on what I think a far superior set the SEFA I attended several incidents wearing both SEFA and proto as captain of Kellingley Number one team. I would like to hear from veterans of the service what they think. Feel free to pass on my e-mail address. You were right, Philip is not wearing a Proto, it is a Blackets; only used on Mansfield, Ilkeston, Chesterfield, Ashby, and Houghton Le Spring and Ashington (maybe Benwell Towers, Newcastle and Crook Co. Durham too). This was the liquid air apparatus, rather than compressed oxygen Proto, which would explain their liquid air plant and Dewar Flasks. The photo was probably late 1950’s to early 60s. The East Midlands stations only changed from Aerorphore to Aerorlox in 67 / 68, then, in the 70's (possibly 75), all stations in the country were required to use both liquid oxygen, and compressed oxygen, so had both Aerorlox & Proto on station. When the change over happened from Air to Oxygen, they had to get rid of the Liquid Air plant, instead a VE tank (volumetric expansion) was sighted at almost every station, where BOC would deliver tankered liquid oxygen for storage. Yes, Dewar flasks were then used to fill apparatus on the station and taken to the pit, underground for filling on operations. I got the information from Brian Robinson, he is a Breathing Apparatus and Rescue Consultant. 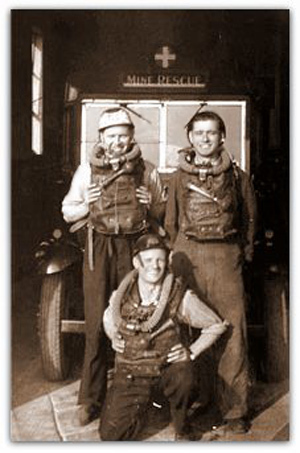 His dad, Wilf Robinson, was a rescue man on Ilkeston Rescue station along side Philip. I came across your website while researching my family tree. I am hoping you can help me trace a man named Sydney Harry Wells. All I really know about him is that his partner was called Ann Emily Walker, nee Dobson, though I do not think that he was ever married to her. He also had a son in 1922, who was told that his father had died in a mining accident when he was four. This Sydney's death was between 1925 and 1927, though there does not seem to be any record of his death during this time. There also appears to be a lack of evidence to suggest that he was ever killed in a mine, as his name does not appear on any of the lists I can find. I'm starting to think that this may have been a lie and that I may have to try to find him elsewhere, but thought I would make this last check. I would be very grateful of any information you may have wish could help solve the mystery of how he suddenly disappeared! I am doing my family tree, and I am trying to find records of my great uncle my auntie who is 83 keeps saying my great uncle William Arthur Taylor was killed in a pity disaster I know my uncle stood for my grandad when he got married in 1920 but I have no more information other than his birth date 1883. We don’t even know what pit he worked down. Plus we cannot find a date of death. My Name is Andrew Burton. I am trying to find some details of my Granddads death at Hucknall Pit or possibly Bestwood Pit, which would have been late 40’s to middle 50’s. His Surname is Wilkinson, and father to my Mother whose name is Audrey Wilkinson, my grandmothers name is Elsie Wilkinson who lived on the Bulwell Hall estate. It was a roof collapse and two miners were killed, one being my granddad. The Family will not help me so I am trying to do this on my own and that is why the information I have is a bit patchy. I would be grateful if you have any information or if you could let me know who to contact for information. I was wondering if you would be able to help me in my quest to find out more about my grandad? His name was Frank Harris and he was a surface worker, at Snowdown Colliery. 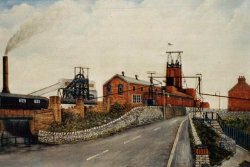 My mum tells me that he had a very bad accident at the Colliery, I understand that he was between 2 coal carts and someone unhooked one (they did not realise he was behind it) needless to say he was crushed and the men who tried to help him had trouble as the carts where full of coal. Subsequently, he was rushed to hospital and some weeks later died. My mum says that the accident happened between March and July 1964 but my dad believes it was during 1965 (my dad is John Harris). At the time of the incident my nan (Dorothy Violet Harris And Frank Harris lived at Walnut Tree Cottage, Woolage Village). 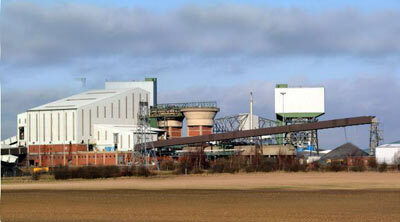 It has been said that an inquest occurred and that the incident was in the local paper. Unfortunately, I am unable to find any details of the accident. I hope you will be able to assist me and thank you for your time. Thank you for your time. Hi I’m researching my family tree and I know that the whole family were down the pit and came from Pinxton, can you help? My dad Hedley Taylor, his brother Bert and their father Jeremiah Taylor were there together and also Jeremiahs brothers and father was and that’s as far as I’ve managed to go. I know that my dad was down the pit during the war too. Any small bit of information would be helpful as my parents died when I was young. HEDLEY TAYLOR: - My dad, uncle, brother and grandad were miners and as I’m doing my family tree, all of the family were miners. My dad, Hedley Taylor and his brother Bert were from Pinxton and their dad was Jeremiah, I know my dad moved to Nottingham when he met my mum Caroline Bagnall and then he and my brother Malcolm went to Gedling Pit. leg from this.I also remember my mum getting the tin bath from behind the door of our outside toilet and having a bath in front of the fire and then my dad having the bath when he came home after me with my mum boiling the kettle on the fire to heat up the water. This is the earliest memory I have. I would like to find people who perhaps knew my family, if anyone can help please e-mail me. Also I have just found my mums side and that my grandfather was Frank Bagnall and he was in the Langwith pit the address on my mums birth certificate is 126 Bathurst Terrace for Frank but my mum Caroline Bagnall, (her mothers name was Elizabeth Langbourne) was born at 105 Stockwell Gate Mansfield which I’ve found out was a workhouse and later became a hospital, the workhouse matron Annie Hammond, registered her birth. If anyone knew the family or has any information about the 2 addresses, I would appreciate anyone getting back to me as I’ve hit a brick wall.